Okoawo BlueGate: Pregnant Motorist faces giving birth in jail after lying to police. Pregnant Motorist faces giving birth in jail after lying to police. Julie Sheppard, who is five months pregnant, was sentenced for lying to police about who was driving the car which smashed into her. The 35-year-old was ‘bullied’ into saying Damien Bourne, 24, was not behind the wheel when he wrote off her Vauxhall Corsa. 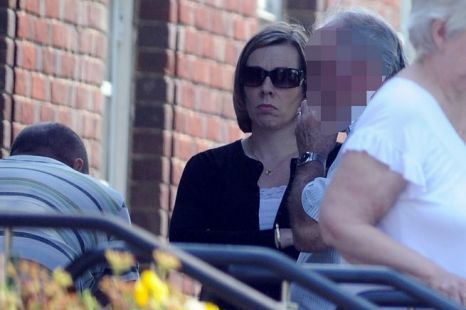 Bourne was not insured and his mother, who arrived on the scene soon afterwards, convinced Sheppard she should lie and say Bourne’s girlfriend, Lisa Newey, was driving the Vauxhall Astra. As part of the deal, Bourne and Newey accepted full liability and Sheppard received £2,000 from insurers. However, the scam began to unravel when police began their investigation into the incident in which Bourne’s six-year-old son was injured. Sheppard, of Chickerell, Dorset, confessed everything when interviewed four months later. After she was sentenced to 12 weeks for perverting the course of justice and four weeks concurrent for fraud, Sheppard’s husband David spoke of his anger at Bourne. Bourne, of Weymouth, was jailed for 12 weeks for perverting the course of justice and disqualified from driving for one month at Dorchester crown court. Newey, 28, also of Weymouth, received a suspended sentence after the incident in their hometown in June last year.